Experts agree that while basic farming abilities and a feel for the soil will remain crucial, farmers of the future will need additional skills including use of digital tools, data and software utilisation, business management and decision-making. 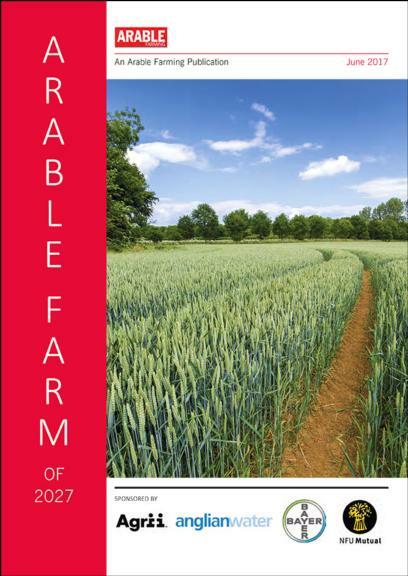 To this end many organisations also offer free training and advice for farmers. Anglian Water, for instance, is one organisation which has recently employed a team of expert agricultural advisers to go out onto farms and talk face-to-face with farmers, land owners and agronomists. The company says its catchment advisers have a wealth of experience from the agricultural industry and will offer practical advice as well as listening to the challenges farmers face to help them find viable solutions. Terry Pickthall, senior lecturer and placement manager at Harper Adams University, believes we also have to improve the skills of people joining the industry to meet the increasingly technical nature of what they are doing – increasingly complicated machinery, the onset of precision farming, and the software used in decision-making. “There is already a skills gap. I’m responsible for student placements and have 200 students to place each year, but I have far more farm jobs than I have students. “There is a change in the type of person businesses are looking for. This trend towards a need for greater technical skills is borne out by Katie Garner, project manager for Bright Crop, tasked with promoting careers in agriculture and now part of AHDB. Ms Garner says: “The Agri Tech Strategy review, published in June 2016 indicates, we are likely to see an overall reduction in jobs in agriculture and production horticulture over the next 15 years. Changes in UK education, with greater emphasis on technical education, would seem to encourage the entry of more youngsters into the type of roles that agriculture will increasingly offer. There is the newly-launched Industrial Strategy, the pending National Careers Strategy, and the post-16 Skills Plan, which aims to radically simplify vocational and technical qualifications. However, research carried out by Bright Crop shows poor perceptions of agriculture among teaching and careers professionals is affecting the quantity and quality of young people who are being steered towards the industry. 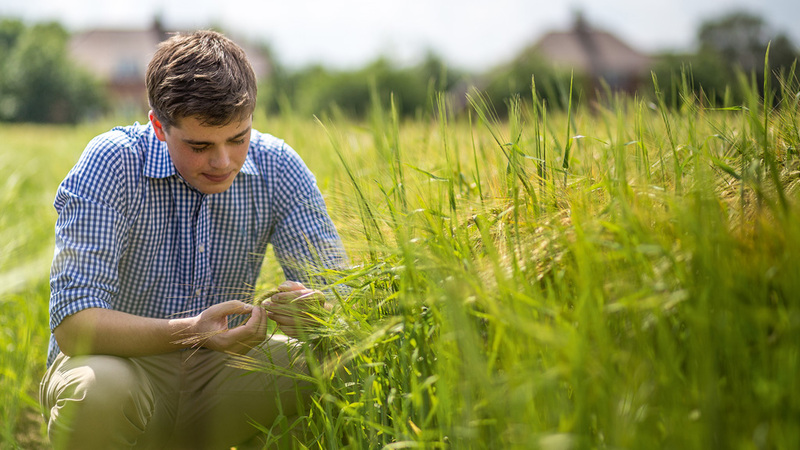 More than 60% of influencers surveyed stated they would be unlikely to refer a young person to the agricultural or horticultural sectors if they were capable of achieving a Level 3 qualification (A level equivalent) or above. Only 38% had thought about agriculture or horticulture as STEM destination industries and just 30% felt they had enough information on the types of roles and careers opportunities available, in order to provide careers’ advice and guidance to young people. These types of attitudes, along with its own research work, led Bayer in collaboration with Farming and CountrySide Education, to start a £10,000 fund to help increase training opportunities for teachers to work with farmers within the education system. It is just one of many activities Bayer is involved in its Farm Education Programme, designed to help future farmers into the industry and inform the broader public about agriculture. The Bright Crop initiative is designed to address these issues – improving the quality of new entrants to the industry, improving perceptions and bolstering the position of the industry in the top 20 of desirable careers. Ms Garner says: “AHDB/Bright Crop is providing this audience with an independent, go to place for information on future jobs, current labour market information and the relevant qualification requirements. Mr Pickthall says Harper Adams has seen a dip in numbers due to demographic changes for 18 to 25 year olds. However, he is encouraged by the number of students coming in with a ‘nonfarming’ background, particularly from rural areas. He says other sectors such as pig and poultry have been successful in improving recruitment, and acknowledges the support of companies in the sector in supporting their students, including Agrii, which has recently announced sponsorship of an undergraduate and masters student. Ensuring the qualifications and training for the industry will deliver the people it needs in the future, is key to the National Land Based College (NLBC), which recently launched its fiveyear strategy aptly named ‘Talent and Technology’. NLBC is working with UK specialist land-based colleges and universities and City and Guilds, as its awarding partner. It will also provide a single destination on its website for those looking for information on careers in land-based industries. As well as intermediate and higher skills, NLBC will aim to deliver CPD for the existing workforce, whose skills will need to grow and change over the next 10 years. As well as its recentlyintroduced integrated farm management course, BASIS has also been quick to meet the needs of those making use of drones with its UAS Agri awareness course which provides an introduction to basic aspects of the agricultural sector and is designed for professional operators of Unmanned Aerial Systems. Current areas under consideration include more training in biological controls and courses in the increasingly important area of seed and traits.